...but I did find something interesting in Comcast's On-Demand service this evening. 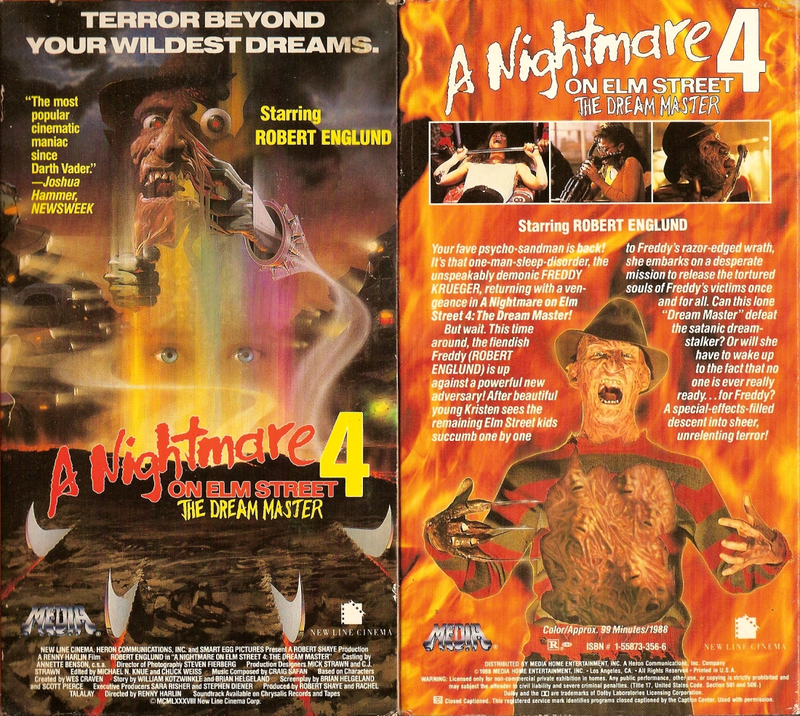 Under Movies --> Trailers & Reviews there's a new "Nightmare on Elm St." section. The latest fourth trailer for the remake is featured and the standard theatrical trailer for Freddy vs. Jason, but more interesting are the odd "trailers" for Nightmare 2, 3, 4, and Freddy's Dead. 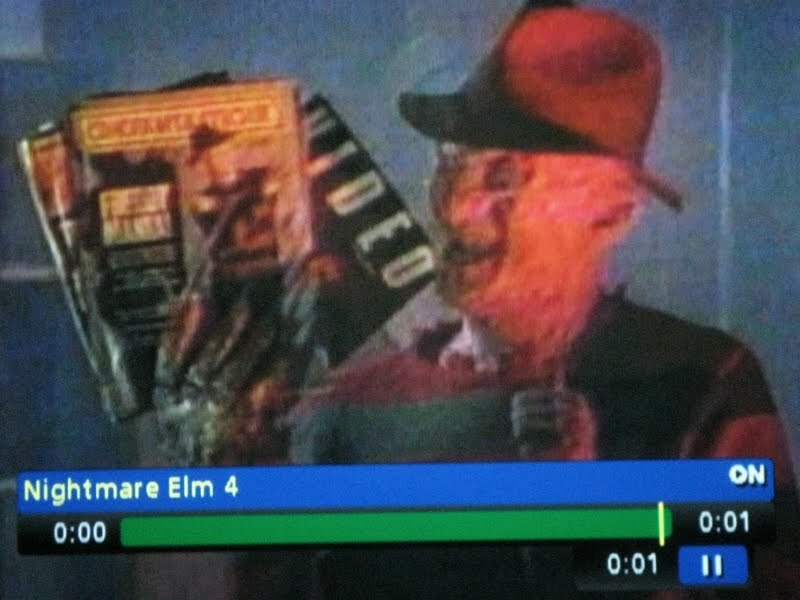 The trailer for Freddy's Revenge is one I've never seen before, probably a video trailer, and looks taken from a Laserdisc. The VHS-sourced Dreams Warriors spot is actually an ad for a contest to be in The Dream Master. The Dream Master trailer is a Media Home Entertainment retail/rental EPK for the holiday VHS release of the fourth feature "hosted" by Freddy. 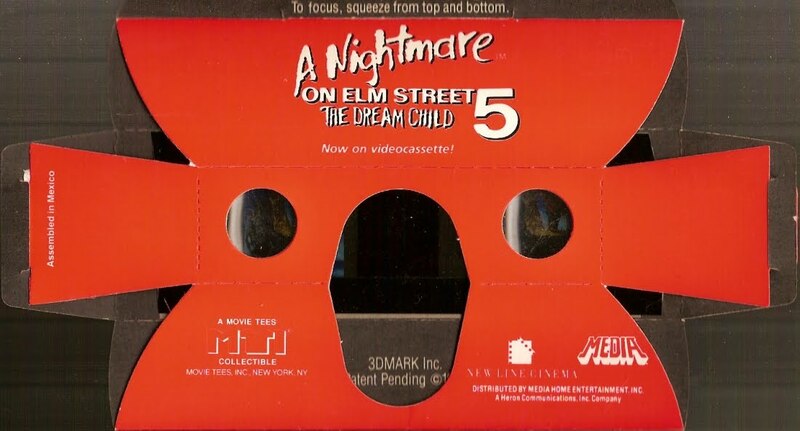 Englund spouts off stuff like how well the tape will sell, how the tapes of the first three sold half a million units nationwide, order dates, and promo merchandise to decorate your store. 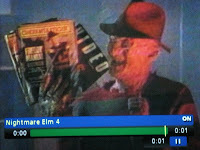 Freddy's Dead is another VHS-quality video trailer I've never seen before. I'm sure diehard fans have seen these, but I can't find them on YouTube or in looking through a list of the clips on the Nightmare Encyclopedia bonus disc in the DVD box set. ??? Huh? I wasn't aware Part 5 was even IN 3D...?